Netflix should be more under the microscope. Here's a critical look at the company's financial statements. The end of the bull market nearing? Time to grill this hot tech company. Netflix' (NFLX - Get Report) current accounting is highly reminiscent of AOL back in the late '90s. As Netflix embarks on all manner of accounting manoeuvres to delight the Street -- with its unquenchable thirst for revenue growth -- Netflix's $140 billion market cap offers investors the illusion of safety. But this is sadly far from the truth as Netflix's bubble will soon pop and go on to becomes its own House of Cards. 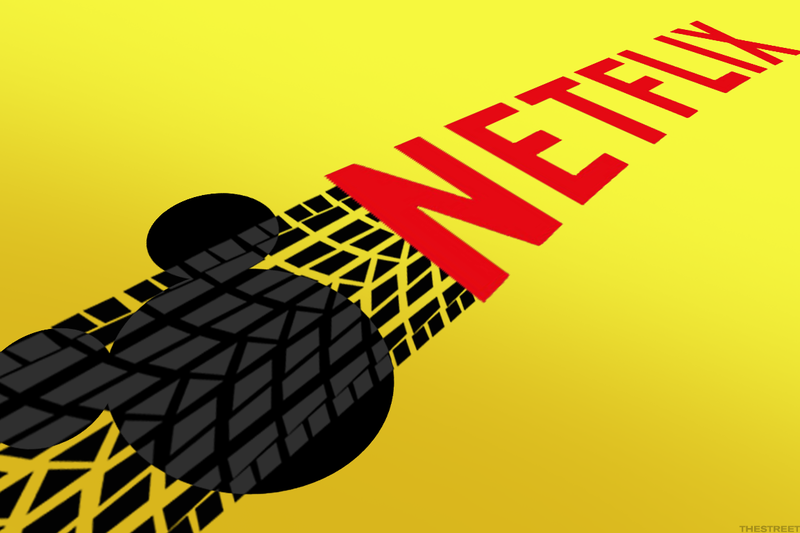 In this article I will deal with some slightly technical aspects of Netflix' accounting as I try to shed light on Netflix's recent financial performance. Netflix's first quarter results showed that it was successful in raising its domestic average selling price by 12%, while at the same time adding 1.96 million members to give it a grand total of 125 million members. These facts, coupled with revenue that was up 40.4% year-over-year truly delighted the market. So far so good. Now, onto some of Netflix's problems. As time progresses, Netflix increases its free cash flow burn. Whereas in 2015, Netflix used $840 million of free cash flow, Netflix now expects 2018 to finish with a cash burn of $3 billion to $4 billion. And you might argue that this doesn't really matter as long as Netflix can show an increase in earnings per share - but here comes yet another problem. You attending TheStreet's May 5 'investor Boot Camp" conference on May 5? You should be. Learn more here. If you look on its balance sheet, you can see one bulging line, called non-current content assets. And you can see how in 2015, this line stood at $4.3 billion (with $6.8 billion of revenue) and now Netflix finished 2017 with its non-current content assets up 140% to $10.4 billion (with revenue up just 72% to $11.7 billion). Thus, Netflix's capitalization of its streaming costs are essentially outpacing its revenue growth - said another way, Netflix's costs are growing faster than its revenue. Apart from goodwill, which doesn't need to be depreciated, any capitalized cost has to, at some point, come off the balance sheet. That means that the costs are 'recognized' on the income statement over time and earnings per share would come down (all else equal), which would inevitably upset investors. It is not an issue to increase its content assets' estimate from six-months to five years all the way up to 10 years. Arguably, Netflix's management could easily claim that there are people still watching House of Cards Season 1 (launched in 2013). Although, I don't believe many members are actually doing so. In fact, I believe that Netflix's previous depreciation schedule to be much more representative. But by expanding its content costs over 10 years, this means its earnings per share numbers are likely to be inflated and not fully representative of its overall profitability. Investing in a publicly traded security is entwined with danger. Firstly, because we are dealing with several unknowns. For example, will management be successful in turning Netflix from a cash-burning enterprise into a strong cash flow generating one? It is difficult to know for sure, at the moment. The way that most value investors accept this unknown risk is by buying stocks with a large discount to full value. However, simply by looking at any share-price chart for Netflix we can see that the bigger Netflix becomes (and by definition more widely known), the opposite seems to happen. The larger the multiples that investors are willing pay to invest in Netflix, the more it fully erases any margin of safety. By: Michael Wiggins De Oliveira specializes in deep value, with a relentless focus on companies which generate strong free cash flow. Follow Michael on LinkedIn here.